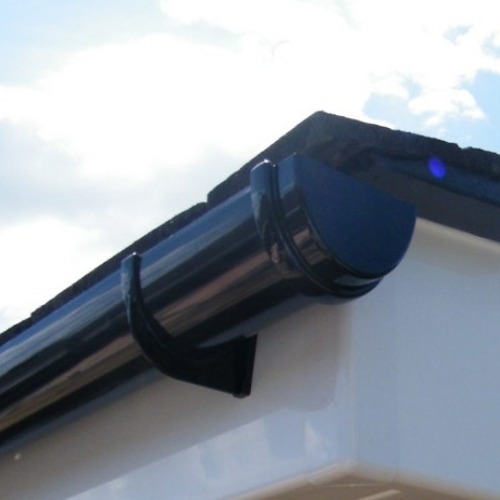 Our gutter systems are manufactured by market leading supplier FloPlast and are BS approved and Kitemarked. All systems carry a minimum 10 Year colour guarantee, and in the case of our Cast Iron effect systems 20 years, which is an industry-leading warranty. Many of the ranges are interchangeable with other UK manufacturers and a compatibility chart is available in the Guides and Tips section. Professional Building Supplies stock a wide variety of rainwater systems in many colours, including Black, White, Brown, Grey, Cast Iron Effect and Caramel, and our newest colour offering is Anthracite Grey. Please click on the various systems below to see the colour options available. If you need any further advice please get in touch with one of our team by clicking here for contact information. Our Half Round PVC gutter 112mm system is compatible with Hepworth, Osma, Brett Martin, Polypipe, Marley Clipmaster, Hunter and Marshall Tufflex. The Square system is compatible with Hepworth, Brett Martin, Polypipe, Hunter and Marshall Tufflex. Deepflow will fit to Hepworth, Osma, Brett Martin, Polypipe, Marley Clipmaster, Hunter and Marshall Tufflex. A full compatibility chart is available to download from the Guides and Tips section. FloPlast rainwater systems offer a wide choice of profile design, both traditional and modern, in a range of colours to suit all tastes and applications. FloPlast’s reputation for technical excellence has been founded on continued investment in the state of the art manufacturing plant located in Kent. The finished products produced are of an enviably high standard of quality which has established FloPlast as the leading manufacturer of PVC-U Rainwater products in the UK. FloPlast rainwater systems have been tested by the British Standards Institution and have been awarded their all-important kitemark, giving you complete peace of mind in your choice of gutter system. All systems with the exception of Cast Iron Effect (which is a textured finish) have a high gloss colour finish with a blemish free surface providing excellent weathering and colour fastness. All products are essentially maintenance free, needing only a wipe-down with soapy water once or twice a year. 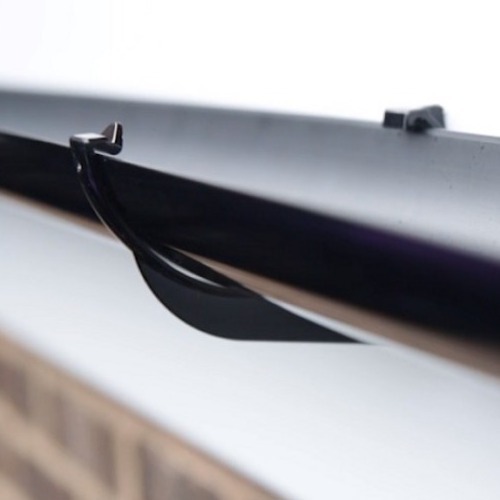 All gutter fittings on our standard, Mini Gutter and Industrial Guttering systems feature an easy fit wrap around clip, which allows a fast, positive joint to be made. These clips are easily removed should any adjustments be required during installation or during property maintenance. All gutter unions are of an extended design with extra wide seals to allow for natural thermal expansion and contraction allowing the gutter system to react to changes in the climate. For ease of installation all gutter fittings have positioning guide marks clearly showing exactly where to locate the gutter inside the fitting. Take a look at our UPVC Fascias and soffits and PVC Cladding, which complement our rainwater systems and will provide you with the ideal roofline finish.